Osaka, Japan - From December 20, 2016, Panasonic Corporation will begin providing the multilingual translation service, "Megahonyaku" using its megaphone-shaped translation device, to public institutions and companies in various industries. The megaphone-shaped translation device provided as part of this service will automatically translate Japanese into English, Chinese, and Korean, and will help direct visitors smoothly in a variety of locations and situations such as transportation facilities like airports and train stations, exhibition and event halls, stadiums, theme parks, and tourist destinations. 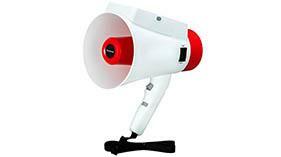 The megaphone-shaped translation device is programmed with 300 preset phrases. And phrases that include numbers, and therefore may change frequently, are compatible with the word select function, which can generate 1,800 patterns of phrases. This enables staff to guide and if necessary evacuate visitors with accurate translation. Phrases customized to the situation in which the device will be used and the application may also be added. And because maintenance can be provided using the cloud, pre-set phrases and software may be updated remotely. This enables customers to use the service under stable conditions. More and more tourists are expected to travel to Japan in the coming years. 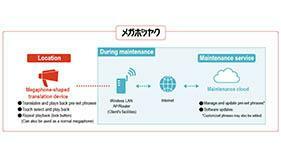 In order to help provide a comfortable, reassuring "omotenashi" (hospitality), Panasonic will provide this service to clients that operate airports, train stations, halls, stadiums, etc. 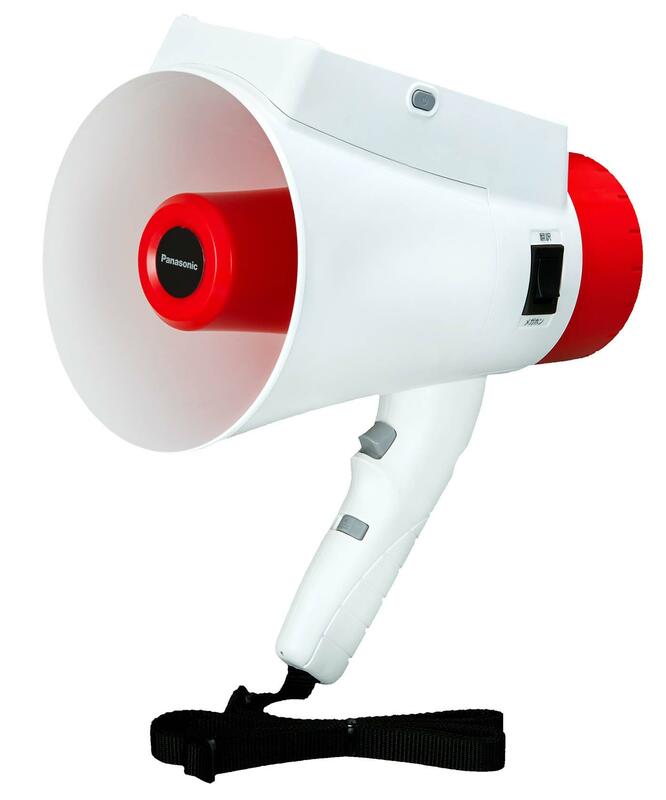 Megaphone-shaped multilingual translation device "Megahonyaku"
* At the moment, this service will only be available for the Japanese market. Translates Japanese into English, Chinese, and Korean. Simple operation realizes smooth guidance. Additional phrases may be programmed using the cloud service. * In order to ensure stable operation, this service also includes maintenance through version upgrades. Therefore, the translation device will not be sold separately. Customized phrases may be programmed at extra cost. This device is not suitable for freely composed phrases and sentences. It is compatible with Standard Chinese. 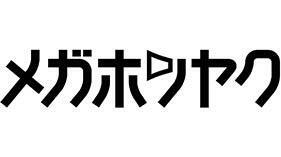 * "Megahonyaku" and "Megahonyaku" logo are trademarks of Panasonic Corporation. In recent years, the number of inbound tourists to Japan has increased rapidly. From January to October this year, more than 20 million tourists have visited Japan (as announced by the Ministry of Land, Infrastructure, Transport and Tourism on October 31, 2016). And there is increasing demand, especially at airports, train stations, and ports that welcome tourists into the country as well as tourist destinations, department stores, event halls, and stadiums to provide a more comfortable, reassuring "omotenashi" (hospitality). Panasonic will provide this multilingual translation service, "Megahonyaku", that utilizes the megaphone-shaped translation device to help clients provide accurate announcements and guidance at various locations, for various situations. In order to begin providing the service, Panasonic has conducted approximately 30 demonstration experiments at airports, events, etc. In providing this service, Panasonic has incorporated functions and services that were highly sought after during the demonstration experiment. The translation device is programmed with 300 pre-set phrases that are often used at transportation facilities, event halls, stadiums, theme parks, and tourist destinations. Moreover, it is also equipped with the word select function, and by combining words it can generate approximately 1,800 patterns of phrases. And if you speak into the megaphone-shaped translation device in Japanese, it will automatically select from among the programmed phrases and translate, and then repeat the phrase in Japanese, English, Chinese, or Korean. This helps efficiently provide accurate guidance and if necessary, evacuation instructions. The Megahonyaku is very easily operable to ensure that guidance and evacuation instructions may be provided accurately and efficiently. Just press the button on the device and speak into it, and it will automatically cross check among the given phrases and translate. Then, simply press the amplify button and it will repeat the phrase in Japanese, English, Chinese, and Korean (in this order, however, the order may also be changed). Even in case of emergencies, it has been designed to enable simple operation. High performance audio recognition enables accurate input even in noisy places. Dust proof, water proof design permits outdoor use.